loft denim branding & trim - Polar Purple Creative, LLC. Client was looking for a simple updated design for ladies denim branding. 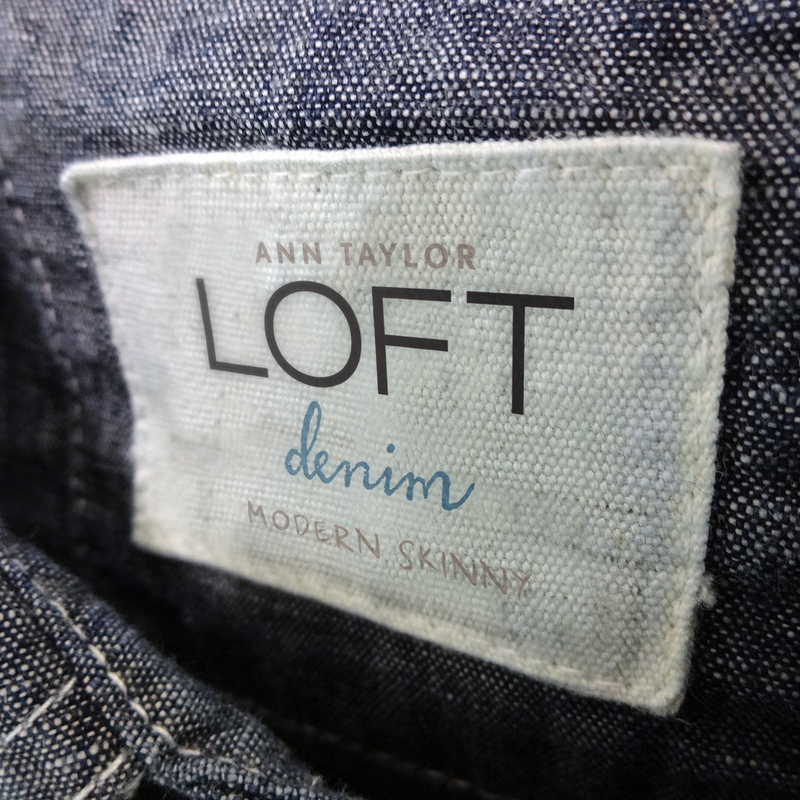 Various fonts, and colors of the words "denim" as well as the style name were explored, in addition to the placement of text in conjunction with the existing LOFT logo. A printed canvas patch was designed in place of a more commonly used leather or jacron patch, giving a more artisan feel to the branding.